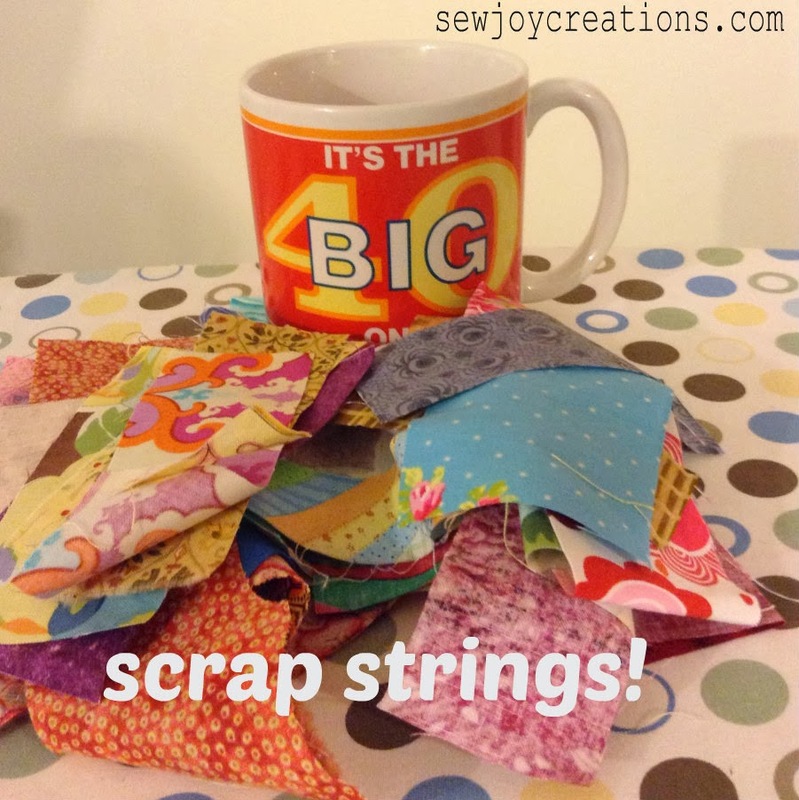 Sew Joy: Belated Birthday Giveaway! Yes, it happened and I survived! 40 has arrived for me. 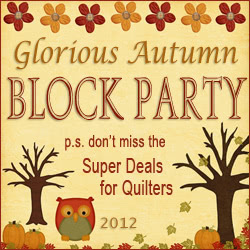 Since quilting is one of my favourite ways to nourish my growth, I'm celebrating with a giveaway. I thought it would be fun to share with you a 'snapshot' of my stash right now. 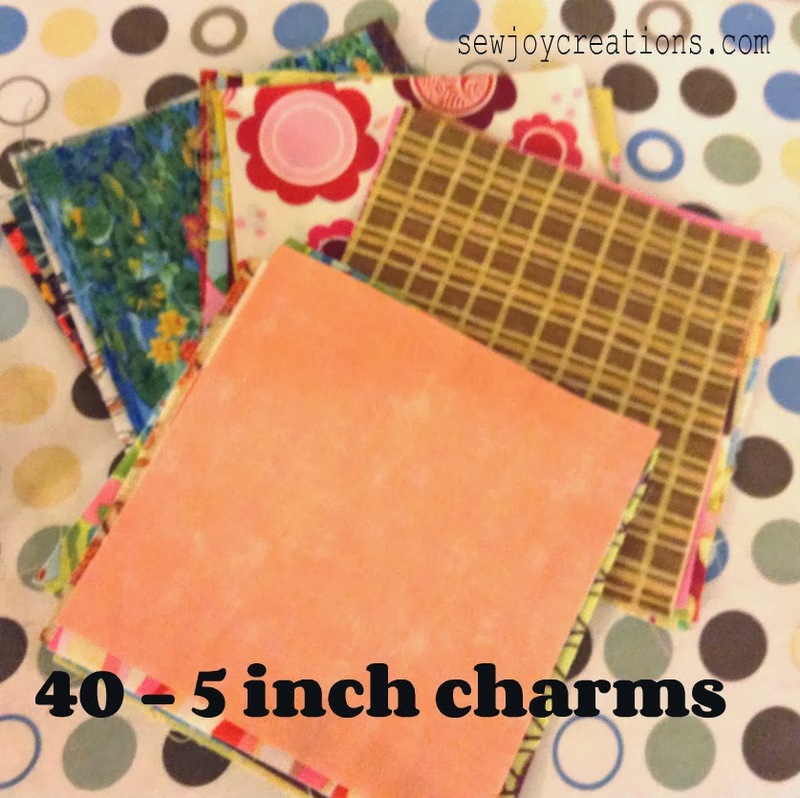 I started with the idea of cutting up 40 different charm squares from my stash. . . Which led to cutting up smaller, 2.5 inch squares. . . Thanks for celebrating with me! Today my evaluator came to observe my teaching and give me feedback. I'm proud to say I did extremely well!!! 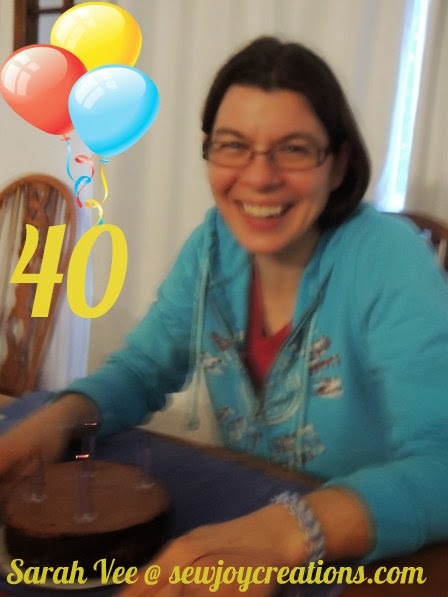 Let me be the first to wish you a very Happy 40th Birthday!! I didn't have a problem with turning 40...it was 30 that I didn't like. LOL! Happy 40th Birthday ! I hope it was special . Thanks for the chance at your generous giveaway . Happy 40th birthday. A wonderful milestone. Hope your cheesecake was delicious. Sure sounds like it. This is a fun give a way. Thanks for the chance. I hope you have/had a great birthday! Love your stash, so diverse. Of course you did well, Sarah! Was there any doubt? I cannot decide which gift I would like. Hnnn. 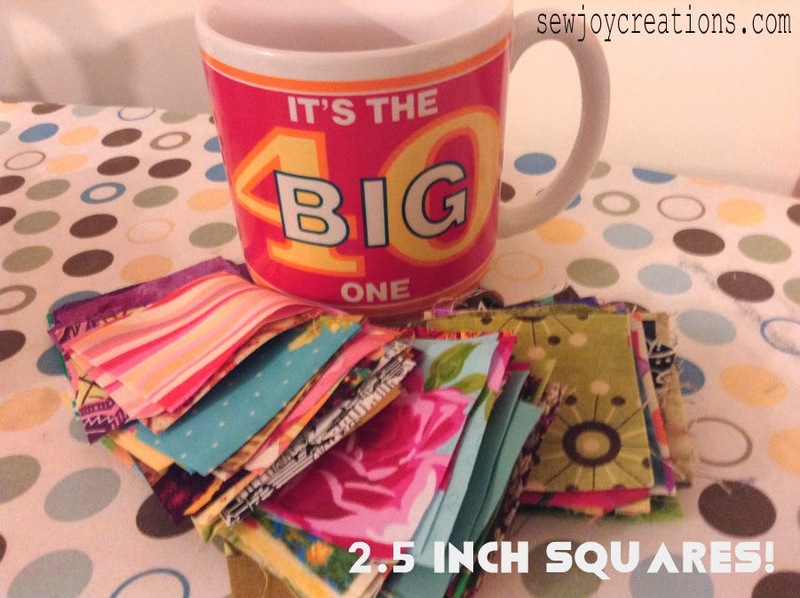 I'm thinking 2.5 in squares. I'd like to win any of those gifts. Happy Birthday,hope you have a great and fabulous day!! 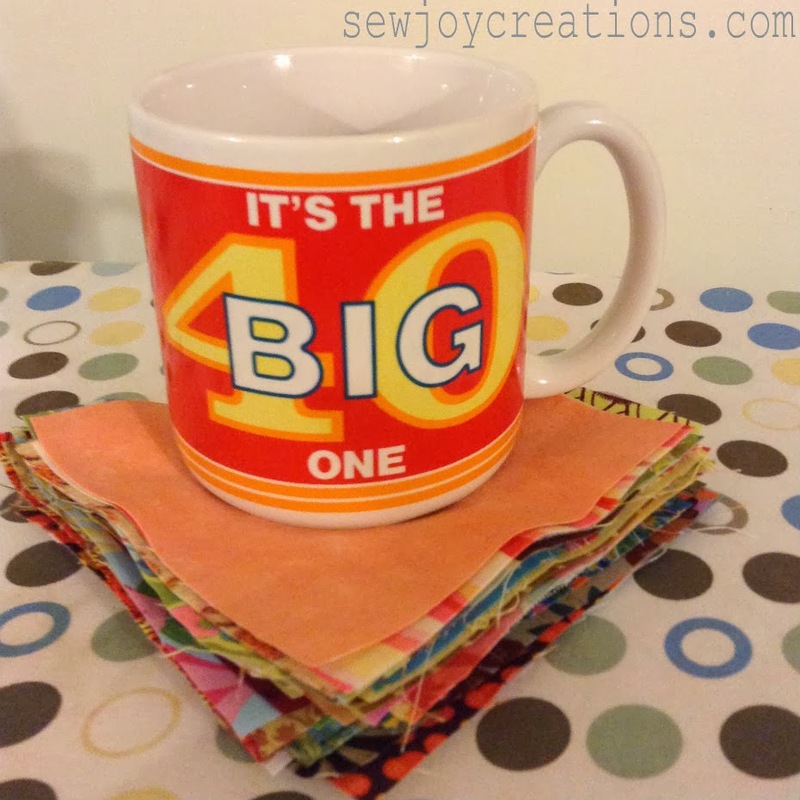 Are you going to do a big party?My 40 was fabulous. Happy Birthday! 40 can be such an intimidating number ... until you're on the other side of it. I would love to win a peek into your stash. What I great idea ... which I may steal for my birthday later this year. Happy Birthday - I hope you had a great day! Oh you are just going to love this year......It was a whole lot easier on me then 30 was. It would be nice to add to my stash with something from your stash!. Happy 40th !! my preferred way of being contacted. Happy 40th!! So sweet of you to celebrate with a giveaway... and if I won, my first choice would be the Charm Squares!! Thanks for the fun! Congrats on surviving Sarah! It would be nice to have a snippet of your stash! I'm not the first, but my wishes are true. A very happy birthday to you. So glad you survived the big 40. Happy birthday, 40 isn't so bad. I bet you still feel 20ish. Thanks for shaing your stash as a birthday giveaway. 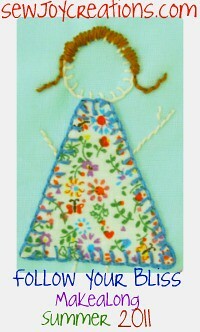 It is exciting to see lots of different fabric to oh and ah over. Happy Birthday. I loved my 40's. Now I am in my 60's (how did that happen?). My brain still thinks I am in my 20's. Don't let anything slow you down.